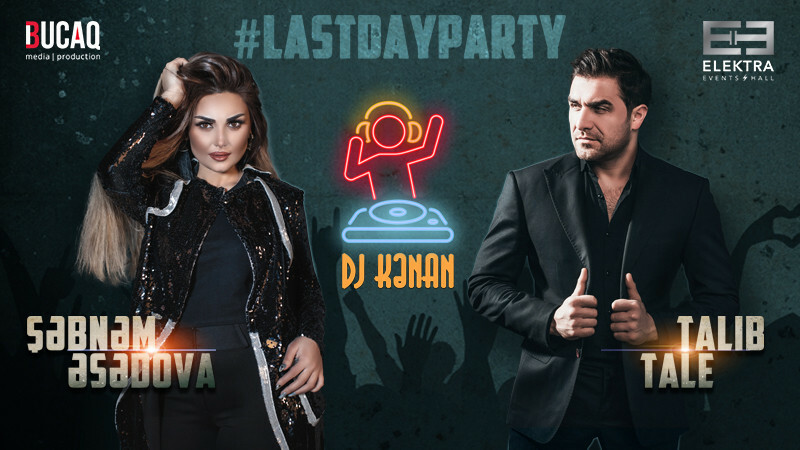 LAST DAY PARTY in Elektra Events Hall buy tickets online. Delivery of tickets for the event LAST DAY PARTY. Just one day, at Elektra Events Hall, one of the most spectacular concert halls in Baku! Shabnam Tovuzlu and Talib Tale will celebrate the last Tuesday of the Nouruz (Ilakhir Charshanba) with their favorite songs together with you at 20:00 on March 19, 2019. Enjoy the spring freshening that will catch your soul with them.Make your holiday unforgettable with hit songs of the year, magnificent show and DJ Kenan. The doors will open at 18:00. The concert will begin at 20:00 and last for 4 hours. The number of tickets to the concert is limited. The price of the tickets varies between 30 and150 AZN (depending on the standing zone and VIP area).